This formation‘s repertoire consists mainly of Wolfgang Lackerschmid's compositions. Their tasteful melodies tighten over a harmonic framework, which inspires each musician to ambitious solos. Divert rhythms, often with Brazilian influences, groove to such an extend that even the most demanding passages simply carry the listener along. This "Lackerschmid Connection" presents prominent international musicians who love to play together, inspired by everybodys virtuosity, ideas and individual approach. The transparent sound with trumpet, vibes and low five-string bass is carried by a corresponding drumdrive. "It's just high level Jazz from today, with a lot of fun." played live and on more than 100 LPs and CDs with Chet Baker, Attila Zoller, Lee Konitz, Larry Coryell, Buster Williams, Paquito D´Rivera, Jacques Loussier, Eberhard Weber, Albert Mangelsdorff and many more. At several “Vibraphone Summits“, he performed with Milt Jackson, Bobby Hutcherson, Mike Mainieri, Dave Samuels, David Friedman, Dave Pike. Many of his compositions are performed worldwide by several jazz musicians, singers, as well as classical ensembles, and choirs. He also composed for various musicals, ballets, dramas, movies and radio-plays. forms the band's sound with his five-string bass far beyond the usual function of a bassist. Mark Egan was part of the legendary Pat Metheney Group for many years and played uncounted gigs and recordings, among others with Sting and the Gil Evans Orchestra, John Mc Laughlin, Roberta Flack, Tania Maria, David Sanborn, Airto Moreira, Jim Hall, Art Garfunkel, Larry Coryell, Marianne Faithful, Laurie Anderson and his own band 'Elements'. 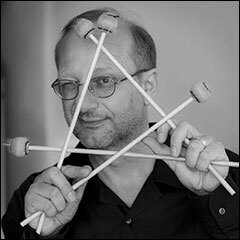 has been working with Wolfgang Lackerschmid on tour as well as recordings since 1994. He is known as the rhythmic-creative spine of musicians like: Chuck Loeb, Joe Lovano, Clark Terry, Claudio Roditi, Roy Ayers, Dave Samuels, Michal Urbaniak, Slide Hampton, Johnny und Edgar Winter, Dizzy Gillespie Alumni Allstars, Blood Sweat & Tears, Eumir Deodato and many others. Karl always brings a fresh creative force to the music and is flexible with multiple styles and ideas. Tiger Okoshi's student has become one of the most requested trumpeters, playing in the bands of Mark Murphy, Benny Golson, Peter Herbolzheimer, Dave Liebman and others. Together with Manfred Schoof, Gerd Dudek and Wolfgang Lackeschmid he also plays in the band of famous artist Markus Lüpertz. His recently released debut CD 'Reflections of the Persevering Spirit' received an enthuastic feedback throughout media and jazz fans. The Rubik's Cube solver calculates the rotations to sove the unsolvable cube.